Mountaineers, hikers, and adventurers may be interested in a new smartwatch which has been specifically designed to offer a 40-day battery life and offer an integrated navigation system. The UWear Smartwatch is also water resistant and offers 10 different sports modes, check out the promotional video below to learn more about the smartwatch which has been specifically designed for hikers. UWear is an affordable smart sports watch featuring integrated navigation system, powerful battery life, real-time body condition monitor, location and trail sharing, and various sports modes that makes your outdoor activities safe and fun. There are all kinds of sport watch on the market, but it’s difficult to find one that tailored for hikers like us, who considers safety as our top priority while we explore the world. So we invented UWear, a smart sports watch that will make your adventures safe and fun. With built-in GPS, UWear marks your starting point and tracks the distance, speed and pace when you are hiking, even when your smart phone is not around. UWear will guide you back to where you set off, so you will never need to worry about getting lost. 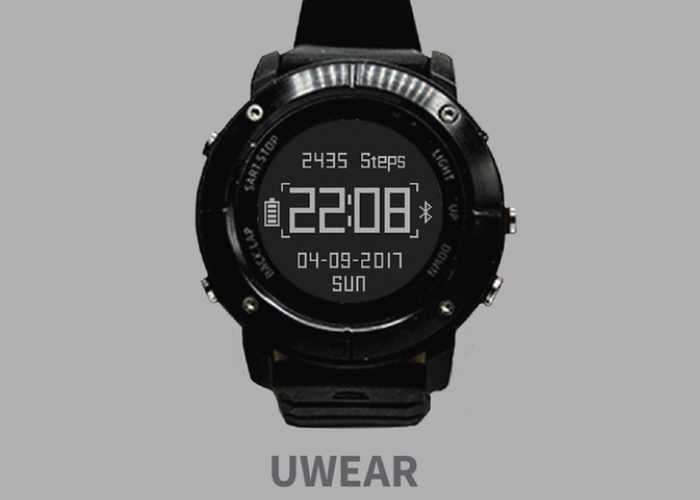 For more information on the new UWear Smartwatch jump over to the Kickstarter website for details via the link below.